With the Holiday season fast-approaching, we thought you might like to know about some of the most popular Tree Lighting Ceremonies, Parades, Christmas Lights and Holiday Celebrations taking place this year in the San Francisco Bay Area, Napa Valley, New York City and London. If you don’t mind the crowds, these festivities make a fun day/night out with your family and friends. This entry was posted in Calendar of Events, Fun Things to Do, San Francisco Bay Area, U.S. / North America and tagged christmas tree lightings, ghirardelli tree lighting ceremony, macys union square tree lighting, nyc tree lightings, pier 39 tree lighting, rockefeller center tree lighting, SF Tree Lightings, tree lighting, tree lighting ceremonies, tree lightings on November 11, 2015 by Alana. Thanksgiving is just around the corner and then we’ll be gearing up for the Holiday Season. Check out these November/Thanksgiving Events & “Fun Things To Do” in the San Francisco Bay Area… and beyond in our Love to Eat and Travel November Calendar of Events. Be sure to check our Blog, Twitter, Facebook, and Love to Eat and Travel web site each month for updates throughout the year. Enjoy! This entry was posted in Calendar of Events, San Francisco Bay Area and tagged christmas events, holiday events, holiday festivals, london, nov, november, nyc, sf, SF Tree Lightings, thanksgiving, tree lightings on October 21, 2011 by Alana. 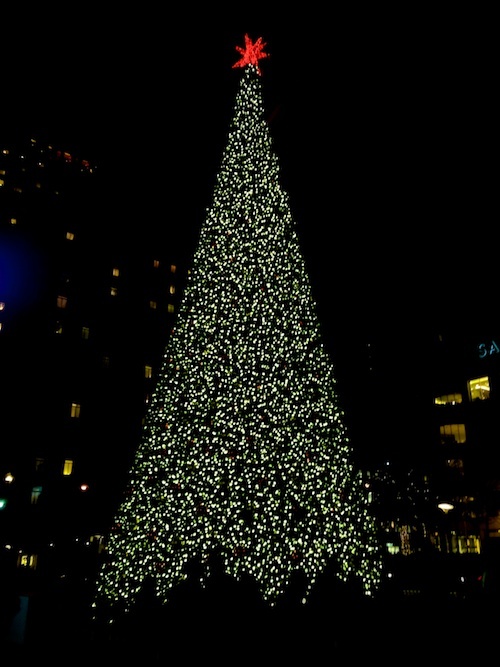 Celebrate the start of the Holiday Season with your family and/or friends at a FUN Tree Lighting Ceremony is your city. We’ve got the scoop on Tree Lightings and Holiday Parades in the SF Bay Area, Napa Valley, New York City and London. This entry was posted in Uncategorized and tagged Festival of Lights, Rockefeller Center Christmas Tree Lighting, SF Bay Area Tree Lightings, SF Tree Lightings, Trafalgar Square London Tree Lighting, tree lighting ceremonies, tree lightings on November 17, 2010 by Alana and Barry.